Combine all of the main ingredients together and mix until well combined. Allow to sit for 10 mins. Preheat an oven to 180°C. Line a baking tray with baking paper and lightly oil it. Roll the meat mixture in to bite-sized balls and place onto the baking paper. Bake the meatballs for 10-15 mins. 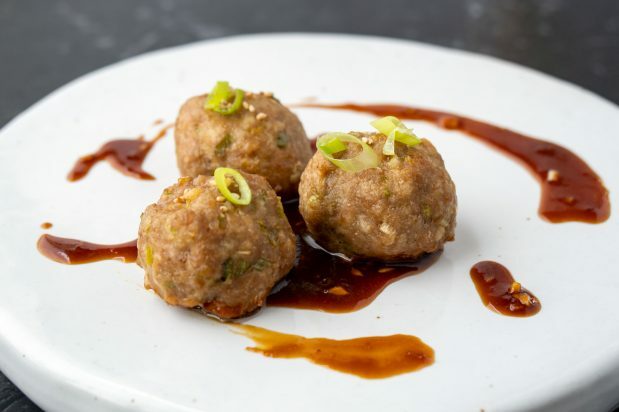 While the meatballs are baking, combine the hoisin glaze ingredients into a pot and bring to a simmer over a medium heat. Remove from heat and allow to cool slightly. To serve, spoon hoisin glaze on serving plate or dipping bowl. 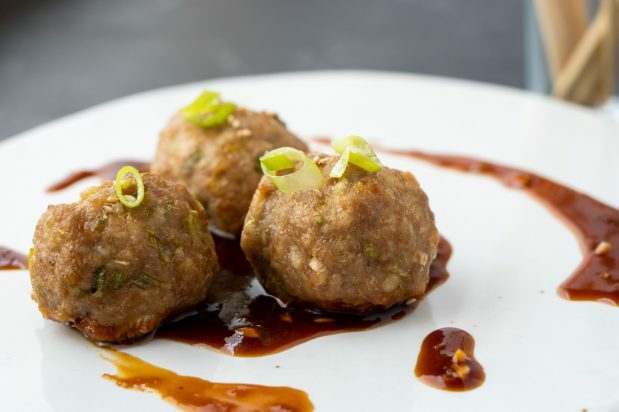 Serve with meatballs.